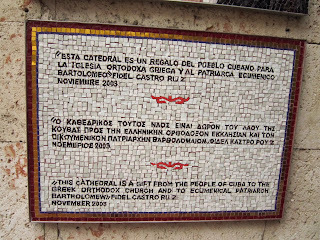 Before coming to Cuba, I knew there was a Greek church in Havana. This is because all Greek -Canadian’s are proud of Greek things and need to share with their other Greek -Canadians friends about all Greek things. Then they become even more proud than they already are of being Greek……It’s this Greek Pride going on. 😛 I get it, but I’m more a citizen of the world. 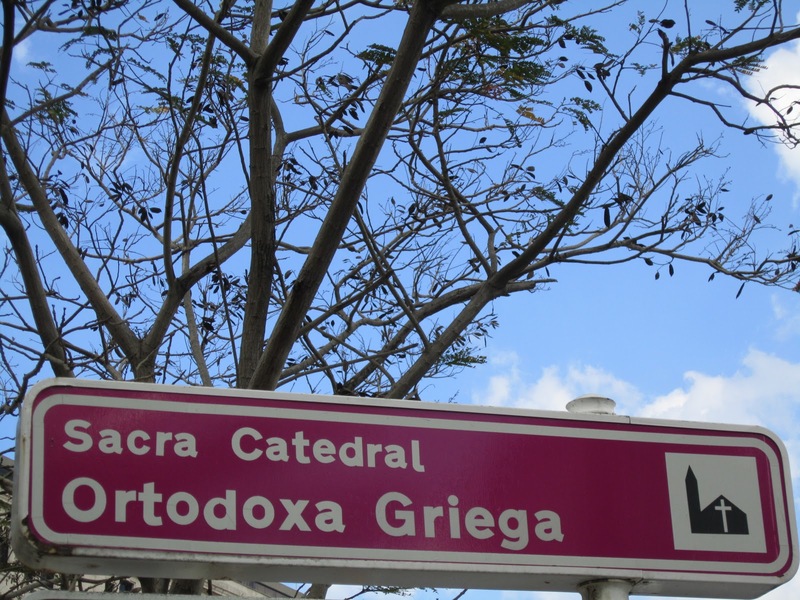 The best way to find the church is to go to Plaza Francisco in central Havana. 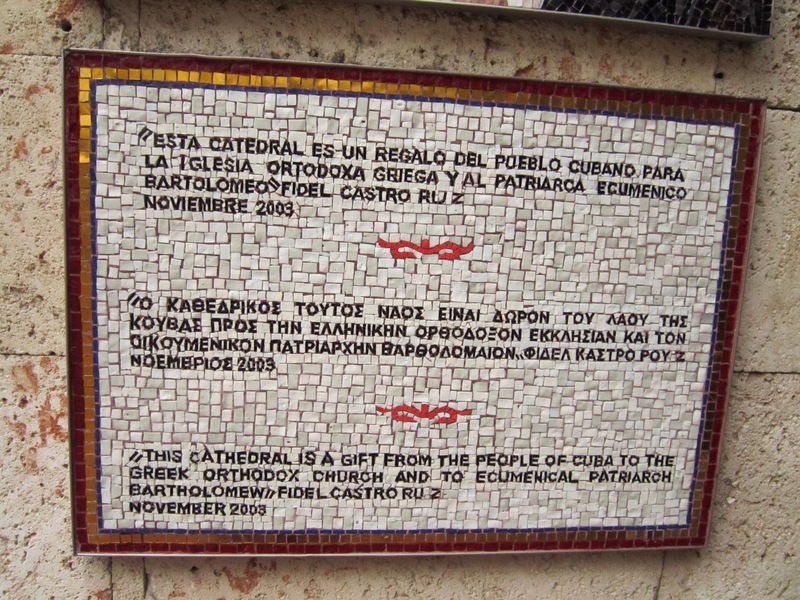 On the left hand side of the cathedral you will see a gate that leads you to the Greek church. 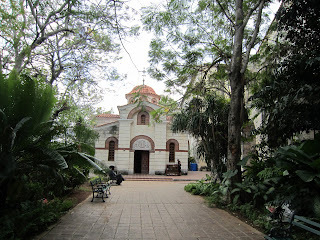 It was a beautiful classic looking Greek Orthodox Church with lush green trees surrounding. 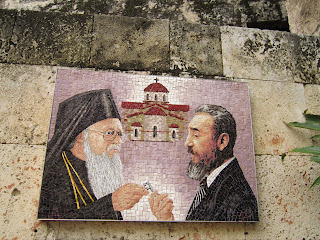 An older lady was outside of the entrance selling Greek icons, prayer bracelets and other religious items. I started speaking to her in Spanish and found out she was Cuban, Greek Orthodox and her name in Greek is Irene ( pronounced Ireni). She’s becoming a monaxi, which means a nun in Greek. I was like oh that’s soooo nice. In my head I was thinking ,oh my gosh I so am not a nun! Here she was looking at me like I was this sweet innocent religious Greek girl. If she only knew…….. I didn’t see the name of the church anywhere, so I asked. The name of the church is Agios Nikolaos. I thought to myself, of course it’s named Agios Nikolaos. There are paintings of this saint everywhere! This is the name of someone I care/d about so I thought it was ironic it had to be this name out of all names. I found it quite humourous. Jeremy on May 21, 2013 at 1:31 am. Elaine on May 23, 2013 at 11:56 pm. Thank you Jeremy. Glad you cam across my blog. What kind of topics are you usually interested in reading? dark spot corrector review on July 29, 2013 at 10:26 pm. 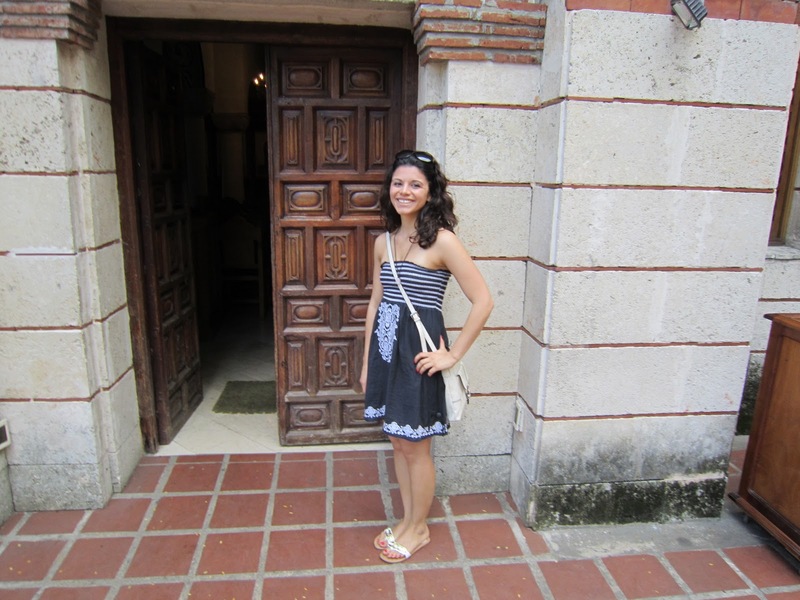 Elaine on July 30, 2013 at 10:49 pm. 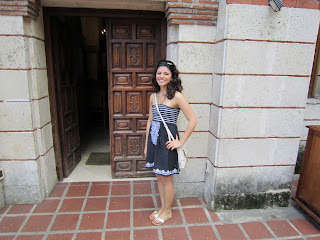 Hi There, When I went to Cuba as you saw in the video, I walked around and that was it. There was no interview or pamphlet with more information. Some of my videos provide more content. I am a vlogger more than a blogger. Mila on March 30, 2015 at 9:40 am. can you please tell me the address of the church, I can’t find it anywhere or at least can you give me more details how to find it? 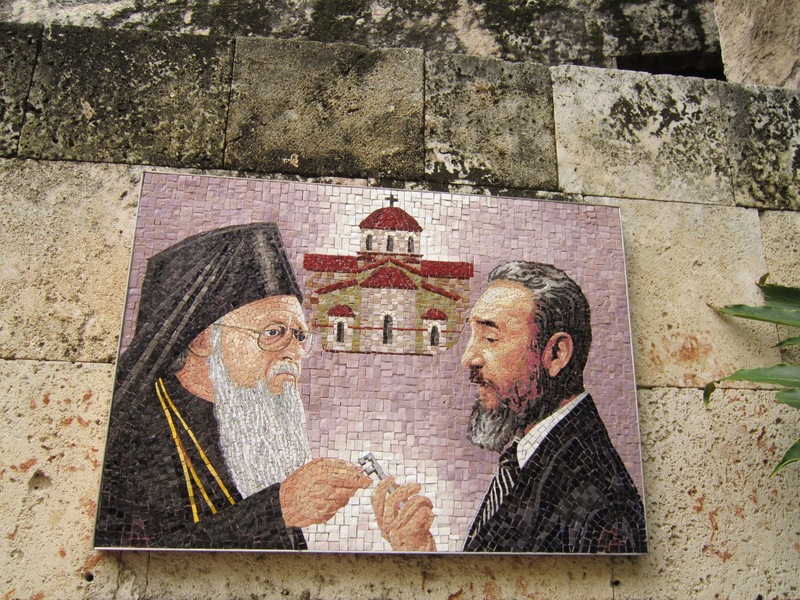 I’m going to Cuba in a week and Ill be in Havana for Orthodox Easter. Elaine on July 16, 2015 at 9:53 pm. There isn’t an address that I know of. It is within walking distance of the Havana Club Museum. Did you end up going?